RPC is a supplier of rigid plastic packaging, with operations throughout Europe and one in the U.S.
Its product range comprises all forms of rigid packaging, namely injection moulded packs, thermoformed packs, sheet and extrusion blow-moulded packs, as well as injection-blown and injection-stretch-blown packs. The firm, which comprises 51 manufacturing sites and 6 separate distribution and sales centres, converts polymer granules into finished packaging product by a combination of moulding and assembly processes, with certain products undergoing additional value-adding decorating processes such as printing or label application. 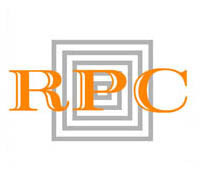 RPC Group Plc, Europe's leading supplier of rigid plastic packaging, announces today its half year results for the six months ended 30 September 2013.